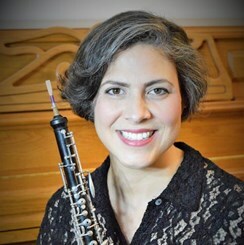 Leila Kizer is a professional oboist and instructor with Bachelor and Master Degrees in oboe performance from the Peabody Conservatory of Music and University of Minnesota. She has performed as the principal oboist of the Metropolitan Symphony Orchestra and the Saint Cloud Symphony Orchestra in Minnesota, as well as various solo and chamber performances over the years. Mrs. Kizer enjoys teaching students of all levels and specializes in proper air support, technique, and building confidence for a firm foundation that will allow her students to grow as oboists, whether for fun or if they desire to pursue a career in music. Request Lessons with Leila Kizer today!